That is what I am. Who knows what will happen next here on this whacked out site, I certainly don't. There just might be big changes(not necessarily on purpose) in a few days, there may not. Who knows. Just bear with me. Also, if you cannot see my blog, please shoot me an email letting me know. I know four people can't, and I would like to figure out why. I'm working on it, I promise! I really really am! I switched the domain name, I don't necessarily think that will fix it, but it is still the same old country mouse blog, it is just easier to type now "www.countrymousetales.com" see! Easy as pie. 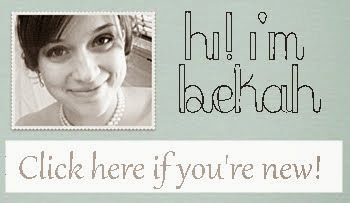 email me at bekahcmouse@gmail.com if you notice something you think I should know about, OR if you are one of the poor people in google reader who can't actually see anything on the blog. Thanks so much for your kind words on my blog. I know you are right. Oh I like your new look!! I think it is great!! Also If it makes you less frazzeled you won my contest! Send me an email with your addie!! This is definitely BETTER - a lighter background with dark text is much more user-friendly. I agree with Muddy Boots - the font is a bit too small for comfort: you might want to think about making it bigger and perhaps a bit darker/bolder too as the white seems very dazzling at the moment. The banner is better, I think: smaller and not so bright. I did like some of the autumn colours in an earlier version, but the good thing about fading them out now is that you can tweak the banner with your own stuff (pumpkins, etc.) so that it is more personalized. Good banner! I'm glad to see that the Categories have disappeared from the very bottom of the site - this is not user-friendly at all. So - yes, I like! And if you could just make the text a bit bigger... Lovely! I really like the new layout! I have contemplated changing mine to trifold too, but I am a monkey with a football with this stuff. I like it! I think it looks fantastic. If you cannot see your site, how do you know that you should email you to tell you that? Good luck with everything. This is why I love wordpress.